The VIP lives up to its name, and the 2019 models have been upgraded to give you even more luxury and comfort than ever before. Coachman know that customers have very high standards when it comes to their new caravans, which is why so much care and attention has gone into the design and build of the VIP. A wide range of interior layouts ensures that there is something for everyone, with bunk beds, fixed island beds and end washrooms all available in the Coachman VIP range. 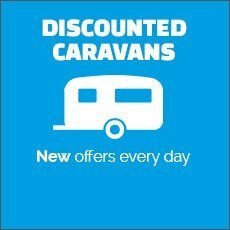 Make sure to arrange a viewing to ensure that you don’t miss out on your favourite Coachman VIP.